We met while studying at the Lutheran Theological Seminary in Hong Kong. Shortly before Megan returned to the U.S., Tee proposed to Megan on the beach in Sihanoukville. She joyously said yes! Tee stays in Hong Kong to finish his Master’s degree at the Seminary. He graduates in December and returns to Cambodia. Megan returns to the U.S. to finish her Bachelor’s degree at Concordia College in Moorhead, MN. The long distance is hard, but they both save up enough money for Megan to spend the summer with Tee in Cambodia. Megan returns to the U.S. to begin Seminary in the Fall of 2013. In December, Megan flies to Cambodia to spend Christmas with Tee and his family. After a lot of praying, and nearly 2 ½ years of planning, Megan and Tee decide to begin gathering the paperwork to apply for Tee’s K-1 Fiance Visa. Megan returns to the U.S. to officially file for the K-1 Visa. 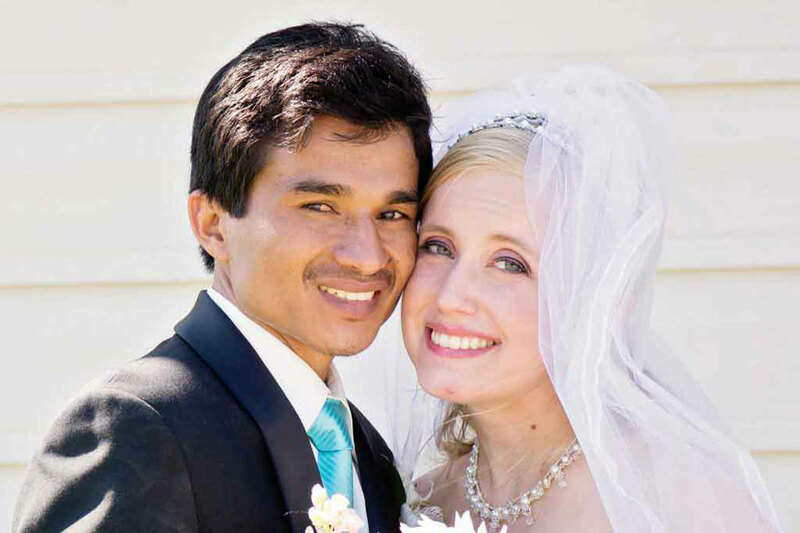 April 2014: Megan and Tee joyously receive the notice that their petition is headed to Cambodia! June 2014: Megan calls Tee to let him know their interview date at the U.S. Embassy in Phnom Penh had been officially assigned. Oct.2014: Megan flies to Cambodia to attend the interview with Tee. They pass!! Tee flies back to the U.S. with Megan on October 18th, 2014. Megan and Tee are officially and finally married at the courthouse in Chicago, IL. December 2014: Megan and Tee apply for Tee’s Green Card and finish settling in to their first apartment together. June 2015: Megan and Tee have their American church wedding together in Megan’s hometown in Minnesota. FINALLY, Our immigration journey was not an easy one; but with strict research, dedication to detail, and loads of prayers; by God’s grace we made it happen! We’d be honored to support you through your own journey. We know how difficult it can be. Don’t give up, and most of all, remember, in most immigration cases, persistence wins the day.